Google has launched its Google Now Launcher onto the Google Play Store, enabling owners of old Nexus devices to get the full Nexus 5 experience. 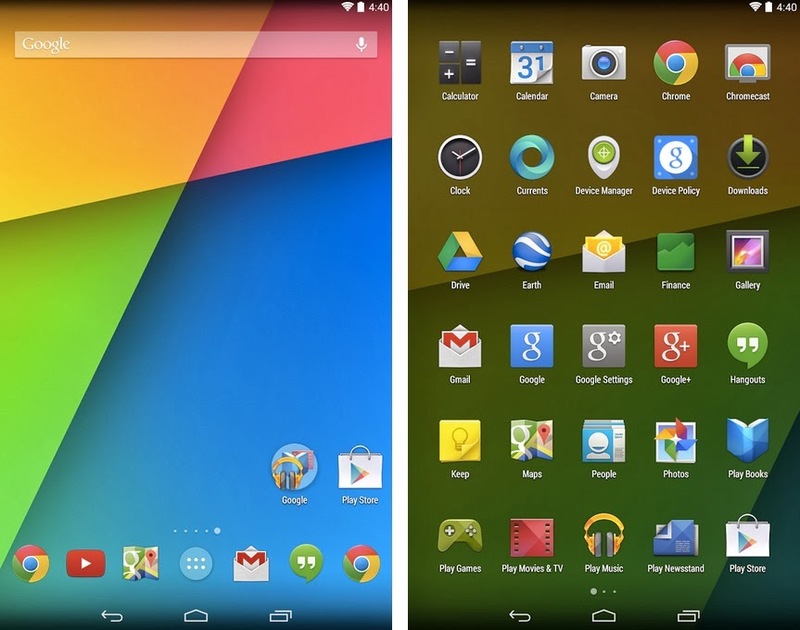 The Google Now Launcher is now accessible for download from the Play Store. It offers the same quick Google Now access that I described previously as well as the ability initiate a voice search by saying “Ok Google” when the search box is visible and transparent status and navigation bars. Google Now launcher has new, bigger icons, a Google Now screen directly to the left of your home screen, and a cleaner app drawer. You can also say "Ok, Google" while on the home screen to trigger voice commands. The Google Now launcher is presently limited to a few devices that includes Nexus ones and Google Play Edition devices, which is bound to make a lot of people unhappy. Earlier, the KitKat experience on these devices looked and felt slightly different from the one on Nexus 5. At this time, the listing claims that it is only accessible for Nexus or Google Play Edition devices running Android 4.4. So yes, the Nexus 10 and 7 can now officially enjoy this new beautiful launcher.